Article: “A Series Of Unfortunate Events” Star Matty Cardarople Had A Great Time At Elton John’s Post-Oscars Party! The talented and fantastic actor Matty Cardarople had a brilliant time as he attended Sir Elton John’s Academy Awards Viewing Party yesterday, February 26, 2017 at The City of West Hollywood Park in West Hollywood, California. The A Series of Unfortunate Events star had an excellent time bringing his wife along with him to the spectacular event and enjoyed the remarkable, live performances. The terrific actor also shared his fun time at the event as seen in the Instagram video he posted below. 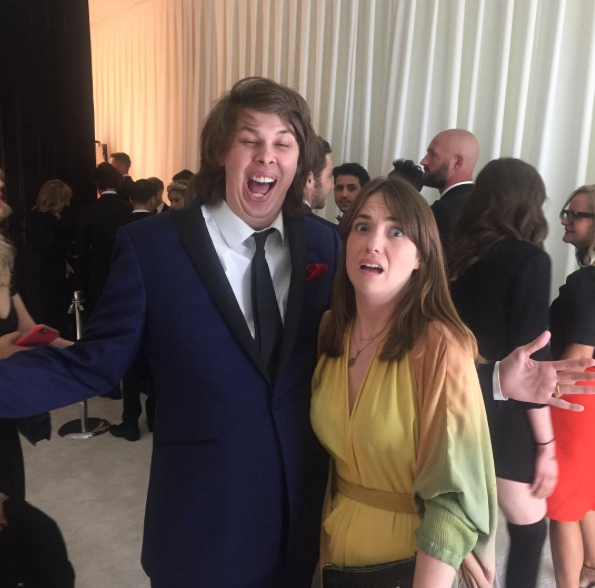 It looks like Matty Cardarople had a wonderful time at Elton John’s Academy Awards viewing party! Previous Article: Rapping Phenomenon Rick Ross To Host And Perform At The 2017 MTV Woodies On March 16th! Next Article: “Despicable Me” Star Dana Gaier Looked So Lovely At Elton John’s Academy Awards Viewing Party!